Google has recently introduced a number of new features to enhance the overall functionality of Google Drive and its services Docs, Sheets, and Slides. The most recent feature we covered here is the ability to annotate and add comments on different file types and from Google Drive preview mode, no need to open them in Docs, Sheets or Slides. 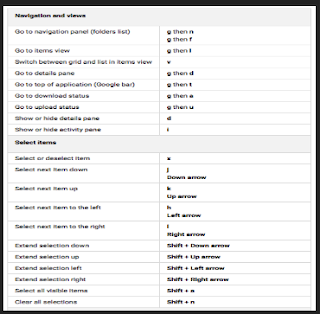 Google also announced today some minor changes to Docs editor and Sheets menu. Check out this post to learn more. 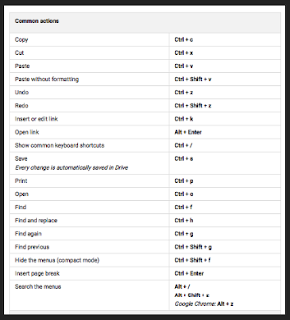 In today’s post, I am sharing with you links to keyboard shortcuts for Google Drive, Docs, Sheets, and Slides. You can use them to quickly access, open menus, create new items, take action on selected items, navigate and move between items in these services. 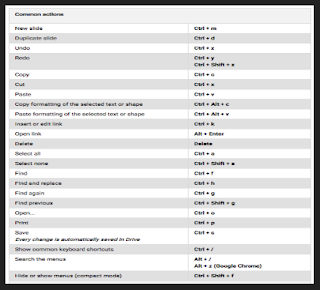 Shortcuts are available for PC, Mac and Chrome OS. 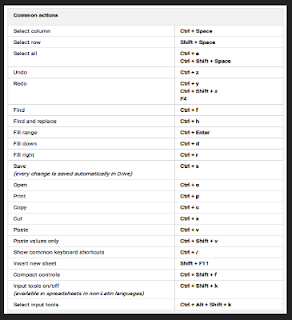 Click on any of the titles below to access its full list of shortcuts.